City taxes are not included in the price we have the cheapest City taxes in all properties listed in this web site which is €1,50) Other properties start from 3 Euros per person per night!! A quaint establishment in a five hundred year old building, The Pescheria backpackers is located in the heart of one of Italy's most beautiful cities. We have private rooms which are very charming and comfortable, with the conveniences one could ask for. For your unforgettable romantic charming nights in Venice we will offer you the atmosphere that you're looking for . 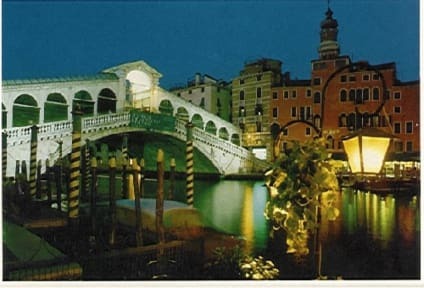 Just two minutes from Rialto Bridge, one of only three which cross the Grand Canal, you are within easy walking distance of many of Venice's most popular attractions as well as dozens of wonderful bars, cafes and restaurants. Credit/Debit Cards not accepted at property, Cash payments only. All important monuments are within walking distance!! Location is pretty nice, you can reach everything within 10-15 minutes. 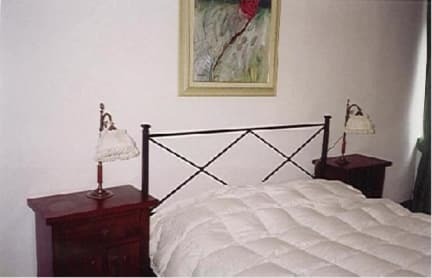 Room was relatively clean, the floor was a little blotchy, but the bed and its sheets were clean and nice. Bathroom was pretty small but it was clean and i guess thats the most important for a hostel. For the little money you spend its a good hostel if you plan to just sleep there and not really spend time in the hostel. Cheap and cheerful, not fancy at all. Great for a simple bed and a quick wash. No activities etc to speak of. Lovely staff. It was a pretty good place for a couple nights. Noise traveled easily thourgh the window but the city pretty much died down early so that wasn’t too much of a problem. The staff was friendly and helpful. Overall it was a nice place to stay. Staff is helpful and kind. Shower does'nt work good way. Kitchen was dirty and there were not bottles or other diches to make food. If you want just to sleep somewhere one night- this place is ok. Otherwise choose something else. The bath and the kitchen are dirty. And it was hard to sleep as I could hear everything that was going on there. Loud and disrespectful guests were never addressed. Electrical issues in all bathrooms. Showers with no curtains or something to prevent water from getting all over bathroom floor, so had to mop after every shower. For starters they don't have any proper luggage room or even a waiting area for people who come before the designated check in time. The place where I waited was dingy and almost made me want to change the hostel had I not paid the full amount already. The WiFi wasn't great. The staff was limited. The kitchen was poorly equipped. But the cherry on the cake here was that the radiators were not working. From day 2, they wouldn't work, even after repeated complaints. This was my first option in Venice, since I thought it was close to everything, it cost me to find this place, because its location has to look with a magnifying glass, the place is not very good, cold water in the shower, the staff is not very Friendly, but for a night more than enough. The location is about the only perk of this place. The shower water was freezing cold and towels cost 2 euro. The security of the place was poor, and there were no lockers in the rooms. The only redeeming quality for me was the day storage they allowed - though it was just a heap of luggage in the back - no lockers. At least it was free. It was disgusting. Signs of bed bugs even though we were told they had exterminated. Website 's reviews do not match up to Trip Advisor. No lockers and little safety precautions for belongings. Bathrooms were semi clean but outdated and didn’t work properly. Overall, a horrible and disgusting experience.